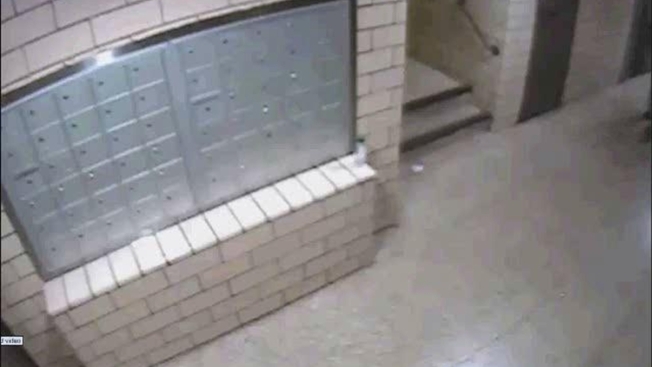 Police are searching for a man who impersonated a police officer and robbed a woman inside a Brooklyn apartment building. The man approached the 33-year-old victim inside 185 Nevins St. at about 1 a.m. on Friday, Nov. 15 and took her purse as he told her he was a police officer, according to NYPD. He then ran away. Anyone who recognizes the suspect in the video is asked to contact Crime Stoppers at 800-577-TIPS or at nypdcrimestoppers.com.